US Department of Defense (DoD) spending on C-UAS systems (including options) has reached USD 1.5 billion this year (January-November); of this USD 1.31 billion has been itemised and USD 188 estimated for purchases where the value has not been made public. This is a huge rise on the approximately USD 200 million spent by the DoD in the previous 18 months. While up to USD 942 million of this is dedicated to a single contract – the US Navy requirement for two high power laser weapons – this still represents a threefold increase on purchasing C-UAS systems in 2018 over 2017. And the year is not yet over. The figures are part of a market survey of C-UAS companies, companies and products carried out by Unmanned Airspace at the end of October 2018. As part of the survey, the Directory of C-UAS companies (https://www.unmannedairspace.info/counter-uas-industry-directory/) has been updated and now contains 170 companies and 243 products. While the USA has been by far the largest spender on C-UAS products, Russia has taken second place following the introduction in 2018 of several nationwide C-UAS protection programmes which have helped (along with the conflict in Syria) increase the number and capability of Russian C-UAS systems (see Russia “implements C-UAS shield around all major cities” and Russia “to introduce measures to protect airports from drone incursions” ). Mass production of the Pishal range of anti-drone guns will start in 2019, according to Russian press agency reports, and will be supplied to various Russian law enforcement and military units throughout the country. The integration of short-range C-UAS systems within current ground based vehicles and air defence units (see https://www.unmannedairspace.info/counter-uas-systems-and-policies/eurosatory-shows-new-generation-integrated-mobile-c-uas-air-defence-technologies/), along with the adaption of deployed air defence systems (Stinger missiles, radars) to include new C-UAS capabilities. The development of security/event based products from suppliers who had previously been focused on developing battlefield weapons. An increasing sophistication among suppliers to use artificial intelligence and other related concepts to provide an early solution to future drone threats such as swarms, autonomous drones and new types of drones with unique RF signatures. 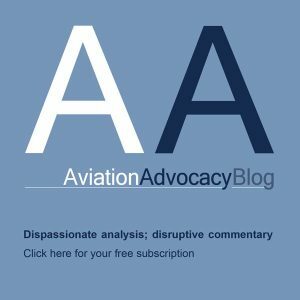 While the military market is buoyant globally, the civil market, especially in the USA, has been held back by continuing uncertainties over conflicting national and local government rules concerning when it is lawful to shoot down drones and concerns about interference with nearby communications. A handful of C-UAS systems have gone on trial at airports in the USA and Europe but it is likely to be another 12-18 months before this market begins to emerge for global competitive tendering. While the number of manufacturers has doubled over the past 12 months it is likely that continuing delays to opening up commercial markets will start to see this number decrease in 2019, as investment funds start to dry up. The last 18 months has also seen a mushrooming in partnerships between detection companies, command-and-control/software developers and mitigation system providers – this process is likely to accelerate over the next 18 months as niche suppliers in these three domains will, in general, be able to develop more reliable, accurate and faster solutions than suppliers who offer an integrated defence capability in all three domains. 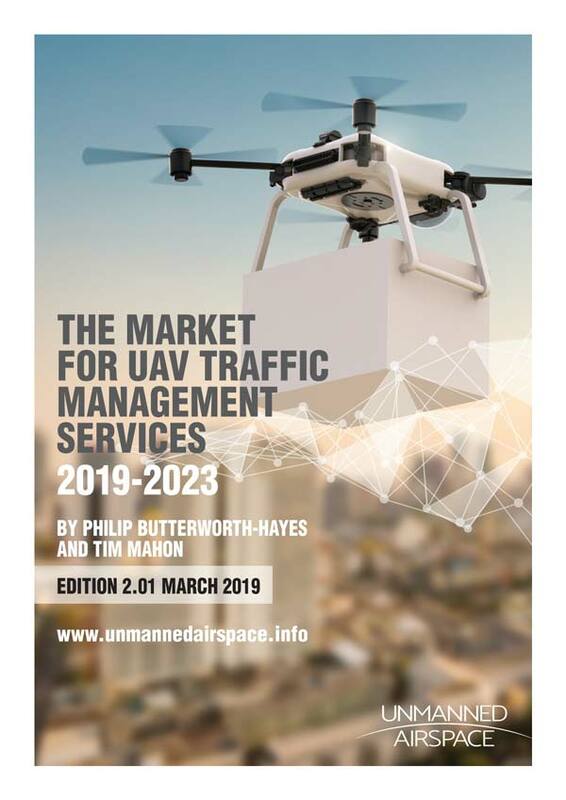 For more information on the C-UAS market survey and requests for inclusion/amendments in the C-UAS directory please contact the editor Philip@unmannedairspace.info. October 2017 – SRC has awarded a USD12.7 million contract to provide the US Air Force with counter-UAS systems to meet an urgent requirement to detect and defeat drones. SRC also received a USD 10 million follow-on order from the US Army for electronic warfare enhancements, as well as increased engineering and field service support to previously delivered C-UAS systems. In addition, the Defense Advanced Research Projects Agency (DARPA) has awarded SRC a contract worth up to USD 6.5 million for the initial phase of the Mobile Force Protection (MFP) program in which the company aims to develop and demonstrate an advanced mobile capability for the detection and defeat of drones. November 2017 – The US Department of Defense has announced Elta, a subsidiary of Israel Aerospace Industry (IASA), has been awarded a not-to-exceed USD39 million contract action for counter unmanned aerial system supplies. March 2018 – The US Navy awarded Lockheed Martin a USD150 million contract, with options worth up to USD942.8 million, for the development, manufacture and delivery of two high power laser weapon systems, including intelligence, surveillance and reconnaissance (ISR) and counter-Unmanned Aerial System (counter-UAS) capabilities, by fiscal year 2020. April 2018 – In April The US government’s FedBizzOpps.gov website announced SRC Inc, manufacturer of the Silent Archer counter-UAS system, has won a contract worth USD57 million for a STRATCOM Joint Emerging Operational Need (JEON) and EUCOM Joint Urgent Operational Need (JUON) requirement for C-UAS equipment. June 2018 – Six3 Advanced Systems Inc., Dulles, Virginia, was awarded a USD48.6 million indefinite-delivery/indefinite-quantity contract that provides integration, installation, sustainment, and engineering services to the AIRWorks Rapid Development Capabilities Integrated Product Team in support of the deployment of new and existing counter unmanned aerial systems capabilities and hardware “to high priority and sensitive government sites that protect assets vital to national security. July 2018 – The U.S. Army selected Leonardo DRS, Inc. to provide the Interim, Mobile Short Air Defense (IM-SHORAD) system Mission Equipment Package (MEP) for installation Stryker A1 vehicles. 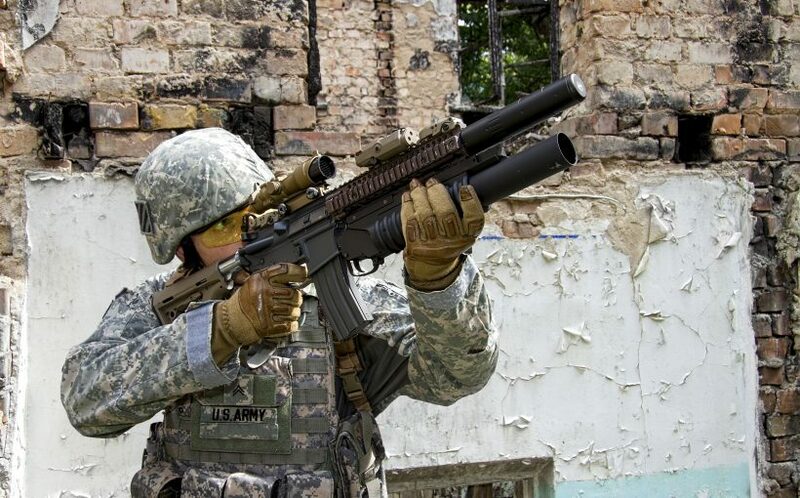 The package includes Moog’s Reconfigurable Integrated-weapons Platform (RIwP), Raytheon’s Stinger missiles and Rada’s Multi-mission Hemispheric Radar (MHR) to provide a “detect-identify-track-defeat” capability required to defeat UAS, rotary-wing and fixed-wing threats. July 2018 – The U.S. Army will use Raytheon Company’s Coyote® unmanned aircraft system and the KRFS radar (Ku band radio frequency system) to counter the escalating threat of enemy unmanned aerial vehicles in the skies above the battlefield. August 2018 – US Army Contracting Command announced a notice of intent to sole-source its requirement for an Airborne High-Powered Microwave (HPM) Counter Unmanned Aircraft System (CUAS) along with Delivery, Development and Support (Solicitation Number: W911QX-18-R-0073) to Lockheed Martin. September 2018 – the Cruise Missile Defense Systems Project Office, in conjunction with the Armament Research and Development Engineering Center, completed testing on a new Proximity Fuze warhead for the Stinger missile aimed at improving Stinger performance against unmanned air system (UAS) targets. The approval will lead to fielding under an urgent materiel release. October 2018 – Lockheed Martin Corp., Grand Prairie, Texas, was awarded a USD12.5 million cost-plus-fixed-fee contract for development, test, and purchase of Counter Unmanned Aerial System solutions. One bid was solicited with one bid received. October 2018 – Blighter Surveillance Systems in Great Chesterford, Cambridge, UK, announced it is supplying its counter-UAV radar technology (Blighter A400 series air security/drone detection radars) to Liteye Systems as part of a multi-million-dollar contract with the United States Department of Defense. Liteye is contracted to deliver numerous containerised anti-unmanned aircraft systems (known as C-AUDS) to the US Department of Defense by the end of the fourth quarter of 2018. In September 2018 Liteye Systems received a USD18 million follow on contract for delivery of numerous containerized anti-unmanned aircraft systems, or C-AUDS for short, from the US Air Force. This is the fifth contract for C-UAS systems and services Liteye has received since the fall of 2016. November 2018 – the U.S. Army awarded Raytheon Company a USD191 million contract for Ku-band radio frequency radars. KuRFS, an advanced electronically scanned array system, fills an immediate U.S. Army operational need for a counter-unmanned aerial vehicle radar.